Have you ever used a top water lure like a hollow bodied frog and struggled to get a good hook set? 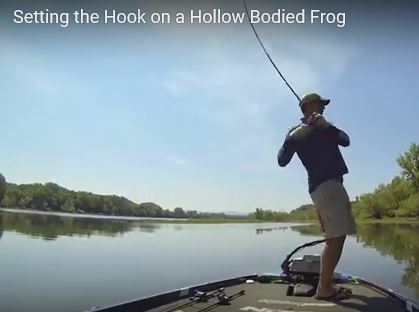 In this video by Rapala titled “Setting the Hook on a Hollow Bodied Frog, host Ott Defoe explains how he uses pressure to determine when to set the hook. Check this short video out and let us know what you think.